By Nat Le Roux – Democratic Audit (first published April 2017): Since 1997, simple parliamentary majorities have been used to radically alter the constitutional make-up of the UK. Devolution and the creation of the Supreme Court have transformed the country’s institutions. Nat le Roux argues that this is evidence of a growing imbalance of power. The executive can change the institutions of state at will – often for politically-motivated, short-term gain. The extent of the democratic mandate has been exaggerated, as the Coalition government shows. It is often argued by the proponents of executive supremacy that a government effectively enjoys a direct democratic mandate because most voters in general elections believe they are voting for a party manifesto and a prime minister at the same time as selecting a constituency MP. Political history suggests that this argument is a very weak one. Two of the last four prime ministers were installed by their parties between general elections, and this has always been an entirely normal route to No 10. Voters in 2010 did not choose to have a Conservative/Lib Dem coalition government (under the current electoral system there is no mechanism which would have allowed them to express such a preference). Many of the policies of that government were foreshadowed in the election manifesto of only one of the coalition partners, and some policies were in neither. The coalition’s policy platform was the coalition agreement, negotiated by the party leaders after the 2010 election and never endorsed by the electorate. In Britain there is no process for constitutional change other than ordinary legislation. As a result, the executive is able to rearrange the architecture of the state at will, irrespective of the views of other state institutions, and at short notice. For most of the 20th century this power was rarely used. 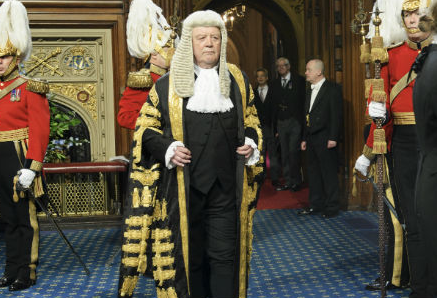 Since 1997, by contrast, we have seen successive governments use a simple parliamentary majority to radically overhaul the structure of the judicial system; strip the office of Lord Chancellor of most of its historic authority; introduce fixed-term parliaments and devolve substantial legislative powers to selected parts of the United Kingdom. These constitutional innovations may or may not be good things in themselves, but they are all effectively irreversible. In nearly all cases, these changes were introduced without any process of consultation beyond the incumbent government and only recently with an endorsement by referendum. An earlier version of this article appeared on the BPP blog. It represents the views of the author and not those of Democratic Audit. Nat le Roux co-founded The Constitution Society in 2009. He spent most of his career in finance and was Chief Executive of IG Group plc between 2002 and 2006. He holds and MA in Law from Cambridge University and an MSc in Anthropology from University College London.